Art TV news covered the public lecture by Professor Premachandra Athukorala organized by Advocata Institute. 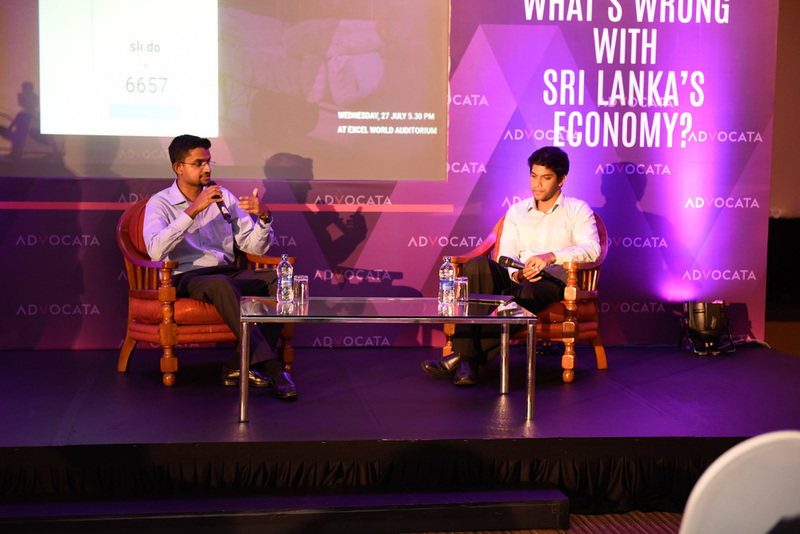 ECONOMYNEXT - Sri Lanka should have a stable liberal policy framework with free trade and strong property rights to draw foreign direct investors who will build East Asian-style global production networks, a top trade economist has said. To attract foreign investors into merchandise exports, concurrent trade and investment liberalisation is needed, Prema-Chandra Athukorala, professor of economics at Australia National University's Crawford School of Public Policy, said in Colombo. Political stability and policy consistency were imperative to attract foreign investments, an economist said. Professor Prema-Chandra Athukorala, Professor of Economics, Australian National University, speaking at a function in Colombo Thursday said Sri Lanka foreign direct investments (FDI)inflows to Sri Lanka were the lowest on record last year . Total FDI receipts last year, excluding foreign loans, amounted to US$ 681 million, down from the previous year's (2014) figure of $ 894 million (excluding foreign loans). Last year Sri Lanka held two major elections, the Presidential Election on 8 January, 2015 and the Parliamentary Election of 17 August, 2015. Central Bank of Sri Lanka (CBSL) Governor Dr. Indrajit Coomaraswamy said earlier that FDI in the first half (1H) of the year was poor, but was looking up in the 2H of the year. According to CBSL, FDI in the first five months of the year, including foreign loans, amounted to a mere $ 164.5 million, down 52.5% year-on-year compared to last year's commensurate figure of $ 346.4 million. The Sri Lanka's Board of Investment signed agreements for foreign direct investments worth an estimated 1.6 billion US dollars in 2015, up slightly from last year, according to the island's investment promotion agency. When this reporter asked Athukorala whether it's possible to have policy consistency in a democracy like Sri Lanka, where the island has to go to the polls once in five years, Athukorala said that it was possible, and gave as examples the island's free trade zones (FTZs) established after 1977, as an example of bipartisanship, where no steps have been taken to dismantle FTZs despite 40 years after their establishment, by successive governments. FTZs, with the concessions offered to investors, are conduits to attract foreign investments. Athukorala further said that studies have shown that FTZs, and not free trade agreements (FTAs), boost exports. The 'Achilles' Heel' in FTAs is their subtle rules of origin (ROO), he said. Athukorala said that he spoke to a joss sticks manufacturer at Mawanella the other day. This manufacturer said that he cannot export joss sticks to India by trying to avail himself of the concessions to which exporters are reportedly entitled to exporters under the existing Indo-Lanka Free Trade Agreement (ILFTA) because of India's stringent ROO. A key component in the manufacture of joss sticks disqualifies this manufacturer from exporting to India under the ILFTA duty concessionary umbrella. The story that highly honed skills are required for manufacture of high value exports such as computers is a myth, an economist said. Professor Prema-Chandra Athukorala, Professor of Economics, Australian National University, speaking at a function in Colombo on Thursday (18 August) said that in 1968, when Singapore, with an unemployment rate of 15%, opened up its economy for electronics investments, the country's Finance Minister had said... ...that the skills required for a woman engaging in computer manufacture, should be akin to that of a barber, to do the job. And Singapore has proved it by being a computer hub today. "In a labour abundant country, Singapore has become one of the richest countries," said Athukorala. Singapore has proved that this so called deficiency of a "skills barrier" is a myth, he said. He said that similarly, what Sri Lanka needs to grow its economy is not services such as tourism, but manufacturing. Only manufacturing can absorb unskilled workers and the island has a large pool of unskilled labour, said Athukorala. The BoI is not going in the hinterland to tap them for employment potential and as a result many companies are paying incentives to their workers to recruit labour, he said. Though they talk of the lack of human capital in the island, manufacturers don't believe that lie, said Athukorala. Nonetheless, there is a company in the outskirts servicing the global automotive industry, which has an annual turnover of US$ 45 million, whilst employing a thousand, he said. There is another company at Badalgama in the Wayamba Province which manufactures electronic sensors, while providing employment to 600, said Athukorala. Industrialization is the pivot for employment generation and thereby poverty reduction, he said. An example is China which has reduced poverty from 40% to 9% through industrialization, he said. Sixty eight per cent of the world production comes from developing countries, he said. Athukorale said that while China is involved in labour intensive electronic assembly industries, Sri Lanka's labour was better than that in Thailand, but because the latter has ventured in to high tech manufacture, their labour grade per capita annual income is US$ 500 per capita per mensem, whereas the island's lowly garment sector worker earns a mere $ 100. He said that though Sri Lanka lost large electronic giants such as Harris Corporation and Microsoft due to the July 1983 disturbances, it's still home to middle level electronics firms which employ an average of 400 employees each in their workplaces, providing a total employment of 20,000. Sri Lanka's trade regime is comparable to that of Malaysia but what is needed is the rationalization of tariffs, said Athukorala. 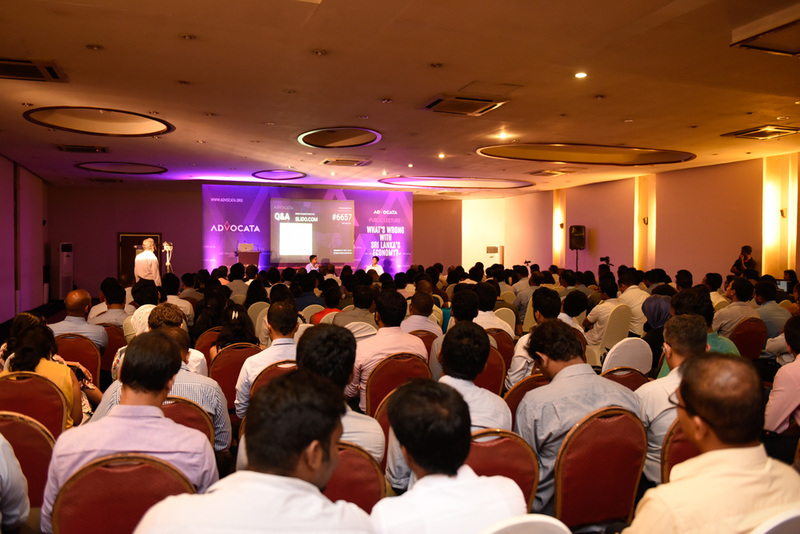 The seminar was organized by Advocata Institute, a local think tank.